The Center for Contemporary Art Ujazdowski Castle presents Rudiments, a solo exhibition by Broomberg & Chanarin comprising a selection of recent works that collectively explore tensions between discipline and chance, precision and chaos, empathy and the involuntary pleasure of regarding the pain of others. 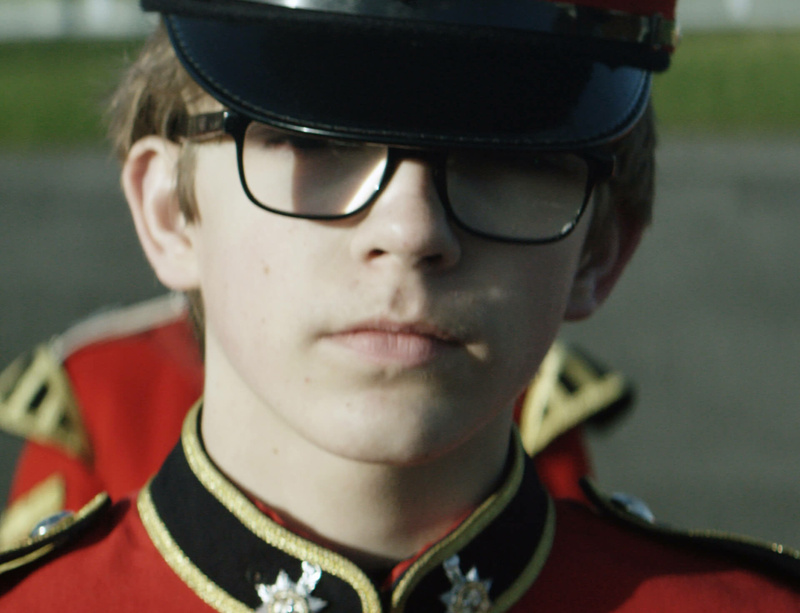 For the titular work, Rudiments (2015), Broomberg and Chanarin collaborated with a group of cadets to produce a new film shot at a military camp on the outskirts of Liverpool. The absurd and unsettling presence of a "bouffon" – a dark clown whose performance borders on vulgarity - challenges the camp's practices and interrupts their carefully choreographed routines. The first of two large photographic series depicts collided and fused bullets, collected from the battlefields of the American Civil War. In the second, Broomberg & Chanarin have photographed military grade prisms, shards of optical glass used in the sights of precision weaponry. Violence is transmitted through the materiality of the photographic subjects: collided lumps of lead and the shear edges of crystal glass.